Veterans returning home often need support and encouragement to reorient to civilian life. Many of the skills and life habits developed while in military service have a variety of applications in the work force. There are numerous programs and initiatives aimed at helping returning veterans find employment. But what of those veterans more suited to an entrepreneurial undertaking than to a salaried job? As the American economy becomes increasingly entrepreneurial, how can returning veterans be best assimilated into this growing work trend? In addition to skills and life experience gleaned from a tour of duty, returning veterans can generally qualify for the Post 9/11 GI Bill. This program makes it possible for veterans to acquire new skills and job experiences or refine already-existing job skills. A reasonable GI Bill stipend allows time for the veteran to complete an apprenticeship or internship and gain on-the-job experience. Additionally, there are numerous programs to help veterans obtain mortgage loans, personal loans and insurance coverage. However, veterans inclined to start up on their own and pursue an entrepreneurial path may have real difficulty getting seed money or a startup loan to launch their enterprise. Because they have spent the recent past in the military they may not have built the sort of resume that lending agencies often require before taking a chance on a new entrepreneurial venture. As the nation seeks ways to help those to whom we all owe so much, serious thought and effort needs to be devoted to finding ways to evaluate veterans and the experiences they have gained while in the service, with the intent of assisting aspiring, qualified entrepreneurs to gain the seminal funding they will need. 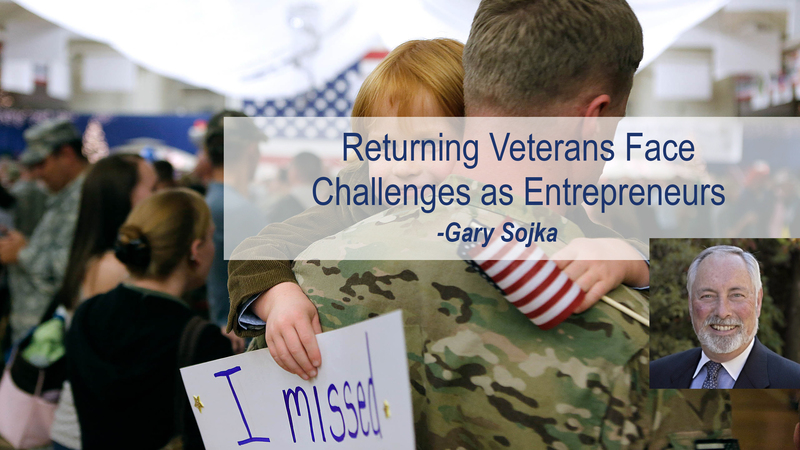 Putting properly oriented, inclined and suited returning veterans to work as entrepreneurs could pay significant dividends to the vets, their families and the economy.